Born in Waynesboro, Georgia, Wycliffe Gordon was raised in a musical family so it’s no wonder he first picked up the trombone at the age of 12. 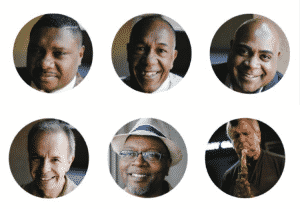 Wycliffe has dedicated his life to jazz on many levels; beyond interpretation and performance, he has served as a musical ambassador of America’s original art form, as a U.S. Statesman of Jazz and ambassador for the U.S. State Department. He is also a committed educator, and is a founding faculty member of the Jazz Studies Program at the Juilliard School. 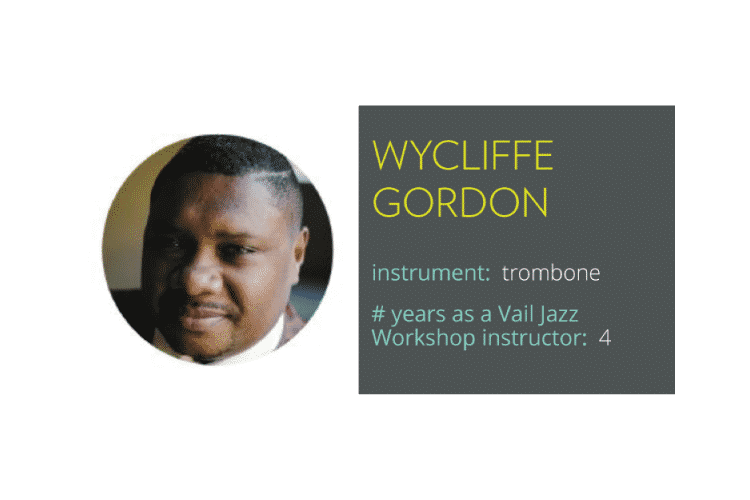 Professionally Wycliffe has enjoyed a highly successful career as a soloist and in groups, playing with the likes of Dizzy Gillespie, Tommy Flanagan, and Wynton and Branford Marsalis, to name a few. He was recently featured on the cover of Downbeat Magazine, and has won the Critic’s Choice award for Best Trombonist three years running. What is the best aspect of Vail Jazz? It’s about bringing great things to the community but playing it forward by having a program that allows select students to come study with masters of the art form. It’s a great opportunity for them and also great for us to meet the next bandleaders, composers, arrangers, and conductors. What is the most memorable comment or compliment you’ve received? All of the audience members who come up with tears in their eyes saying I played something that helped them get up through something. It’s what music does. It brings us all together. What is your favorite pre-gig sipper? A very dry martini, a little dirty with a blue cheese olive. What is the most striking venue you have ever performed at? Vail is certainly up there, looking at those mountains. Australia: the open land, Sydney, Melbourne… Australia might be number one. Stay tuned for next week’s “Q+A with: Lewis Nash”! This article is part of a 6-part series highlighting the Vail Jazz Workshop instructors, who comprise the Vail Jazz Party House Band. In it’s 20th year, the Vail Jazz Workshop recruits 12 of the nation’s most talented teenage jazz musicians who travel to Vail for a week of intensive, two-to-one learning with the instructors. The students refine their skills, learn the art of playing by ear and most importantly, come to own and hone their special talents. Thanks to their Vail Jazz mentors, nearly all of the students have gone on to become professional musicians.